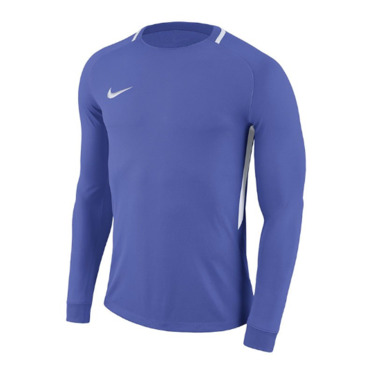 The Nike Park III Men's Goalkeeper Jersey features Dri-FIT technology that wicks sweat away from the skin onto the surface of the material for dry comfort. The ribbing at the cuffs and narrow tapered collar provide comfort during play or training. The ribbed hybrid collar is welded and provides a soft feel. Raglan sleeves promote natural freedom of movement. The ribbed cuffs ensure that the sleeves do not slip when moved. Contrasting side panels add iconic Nike football look. On the right front is an embroidered Swoosh trademark.